Traditional cottage design has received a sophisticated makeover for the Realyn Bed. An antiqued two-tone finish captures your eye with distressed brown wood top, with a chipped white finish everywhere else. The arched button tufted headboard and decorative molding accents dress up this piece. 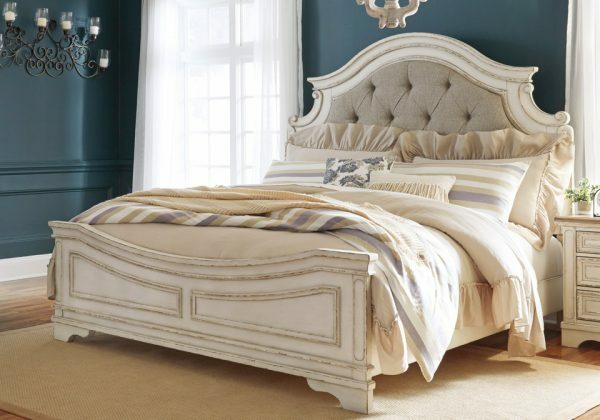 *The price does not include mattress, boxsprings or bed linens. 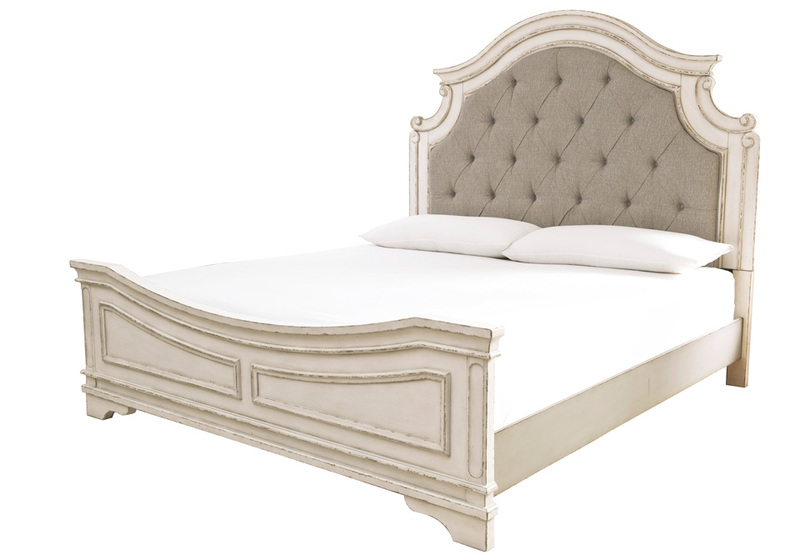 *The image shown is a king size bed. *Nightstand sold separately.